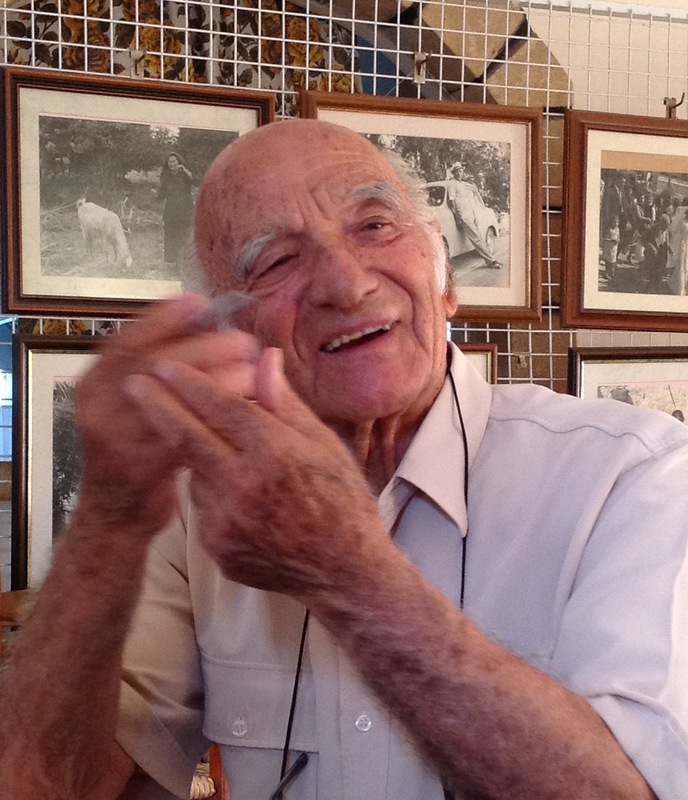 While in Polis Chrysochous on 17 June 2015 I visited a man named Christogolos, a school teacher who was born in 1929. The day that he finished primary school his teacher came to his house. Christogolos’s father Yiannis thought that he was in trouble but the teacher said “No! He is my best pupil and I want him to continue his studies.” Yiannis knew nothing of what was required; he could not guide his son. He told the teacher, “OK, he is in your hands.” The teacher put Christogolos on the back of his motorbike, took him to a bookshop and bought him some books and then enrolled him in high school. This was the turning point in Christogolos’s life, to which he attributes all of his later success. Christogolos would work on his father’s farm during school holidays and sell the produce to many Turkish Cypriots. “They would not let me go until they had fed me”, he said. They adored his father and would drive to his house, pick him up and take him to their parties and then drive him back home. Christogolos recalls that when his father died, a large coach of five Turkish Cypriots families arrived at the funeral with several dishes to share at the communal meal after the funeral. Recently, a busload of Turkish Cypriots visited Polis Chrysochous and Christogolos was delighted to see them and bought them all a drink. After he finished high school, Christogolos studied in Leeds in the UK on a scholarship. He then returned to Cyprus to attend two years of teacher’s training college in Larnaca, where he shared a room with two Turkish Cypriots. They became best friends. During the troubles in the lead-up to the 1974 Turkish military invasion, Christogolos was filling his car up with petrol in Morphou when he heard a familiar voice. It was one of his Turkish Cypriot friends from teacher’s college. They were so excited to see each other and went to embrace – but his friend signalled restraint; Turkish soldiers were nearby and they could be seen. On 19 June 2015, I met Nikos at a café on Ledra street (the main shopping strip in old Nicosia), near the border. He handed me some papers that he had photocopied – they were hand-written recollections of his Turkish Cypriot friends with whom he grew up. Nikos’s father was the Secretary of the municipality of Polis Chrysochous and his best friend was a Turkish Cypriot man who also worked within the municipality office. Nikos’ father spoke fluent Turkish and as a child Nikos wanted to learn also. His father’s Turkish Cypriot friend would teach Nikos Turkish in the municipality office until an EOKA commander did not allow him to learn Turkish any more. 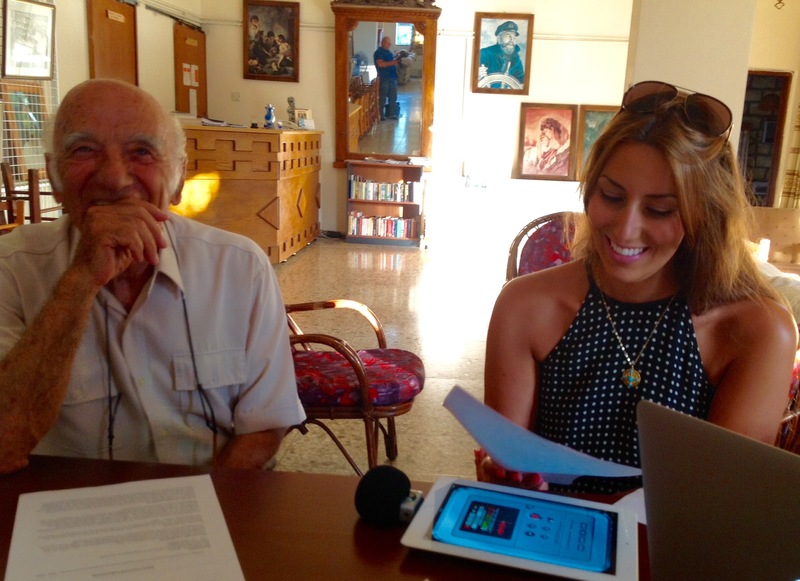 In 2005, as a 63-year-old, Nikos undertook free Turkish classes – he now speaks Turkish fluently! Nikos remembers attending Turkish Cypriot weddings as a child, where money would be pinned to the bride, just like in Greek Cypriot weddings. He also remembers intermarriages taking place and several Greek and Turkish Cypriots living together although they were not married. “After 1955 things changed.” Nikos remembers that Turkish Cypriots were told that they could only buy from Turkish Cypriots, and Greek Cypriots that they could only buy from Greek Cypriots. As a student Nikos worked at the British-owned Limni mine. 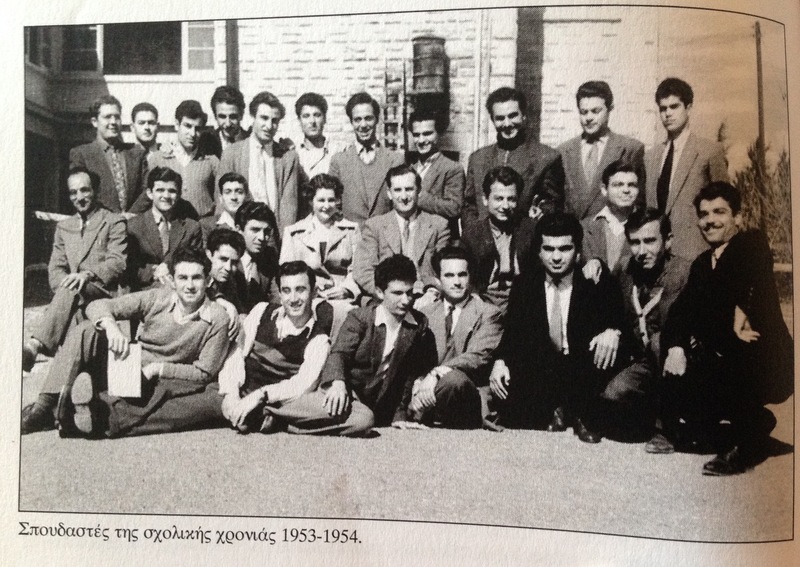 Before 1956, Greek and Turkish Cypriots worked in shifts together. However, after 1956 the British split them into separate shifts. There were two Greek Cypriot shifts and one Turkish Cypriot shift – the midnight to 8 am shift – per day. As time went on many Turkish Cypriots stopped working there, as they were afraid. Nikos started working the Turkish Cypriot shift, as they needed more workers. He got on well with his Turkish Cypriot co-workers. Since the border opened in 2003, Nikos visits the north one or twice a year to visit his father’s old Turkish Cypriot friend.